FreeTail Tech provides advanced, memory solutions, that are geared towards high-end cameras and professional photographers. With write speeds of up to 100MB/s, the card lets you capture multiple frames per second, making it an ideal choice for fast-action or continuous burst mode photography. 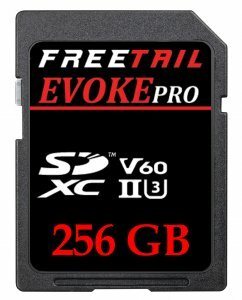 The card offers read speeds of up to 240MB/s* so you can transfer large files from the card to your computer lightning fast. - v60 Rated guaranteeing a minimum write speed of 60MB/s. 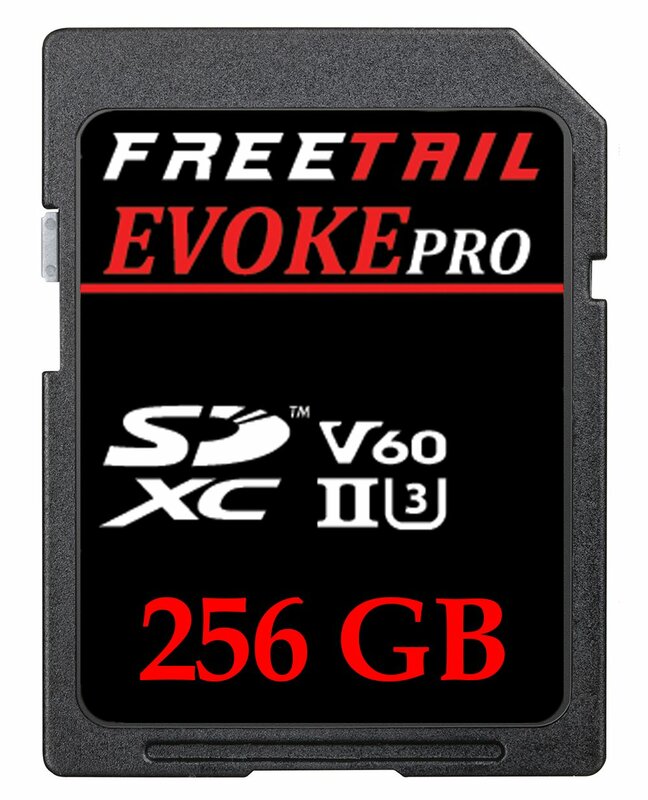 - With Transfer speeds up to 240 MB/s, this card is guaranteed to minimize time between shoots. Allowing you to speed more time in the field, and less time behind a desk. · v60 Rated guaranteeing a minimum write speed of 60MB/s. *Up to 240MB/s read transfer, write speeds lower. Speeds based on internal testing. Actual performance may vary. x=150KB/s.|**Highest transfer speeds achieved only when paired with an SD UHS-II reader.